Ongoing technical support and training can be a major concern for laboratory instrument providers looking to outsource development of new platforms. Can the OEM supplier provide sufficient training for engineers and application specialists? Will ongoing support be available for the lifetime of the instrument? And what happens if in-house engineers can’t fix a problem? Training in this kind of low pressure environment is invaluable as a service engineer. Effective routine maintenance and responsive technical support are vital for clinical laboratories, ensuring correct and efficient operation of equipment and allowing the laboratory to provide timely turnaround of results. As a result, all major healthcare equipment providers have dedicated service organizations that are responsible for both the upkeep of equipment at customer sites and the provision of expert technical and application support when required. Although most of these organizations will provide in-house training for their application specialists and service engineers, this may not always be possible when instruments are designed and manufactured by a third-party OEM provider. Siemens Healthineers has a long-standing relationship with Tecan’s Partnering Business, working with the company to provide advanced liquid handling and logistics solutions to complement its advanced diagnostic testing product portfolio. The Quadriga BeFree® System is an example of how this approach benefits customers, offering seamless integration of a sample processing module with up to three BEP® III Systems to provide an effective high throughput solution for blood donor screening. 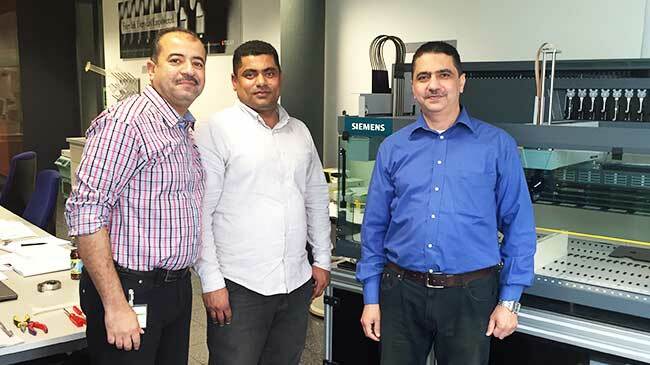 Frontline support for this platform is provided through Siemens’ global service network, with expert technical back-up from Tecan’s engineering and application Expertline team if an immediate solution cannot be found. Based on Tecan’s advanced liquid handling know-how, the Quadriga BeFree includes a number of technologies not found on other instruments in the Siemens portfolio, requiring the company’s engineers to undertake specific training to ensure effective product support. Already have a concrete idea in mind? Learn more about Tecan’s OEM solutions and Tecan Service and Support.